Life is all about finding beauty in ashes and hope in the darkest of places . Through Mithilesh Choubey (Fotografia), we came across one such story. This is the story of a wedding, of love and resilience under extraordinary circumstances. This is no ORDINARY wedding story, it is one that just had to be told. Mithilesh recounts this as being another photography assignment for which he had to travel. It was an exciting project since the wedding was going to be in Nepal. Known for its natural raw beauty and picturesque locations, he was prepared for an adventure but no amount of preparation could have made a difference in what he was about to encounter. A day or two before the wedding, Mithilesh was getting ready with his camera to shoot one of the pre wedding functions at Varkha and Gaurav's wedding when he got a call from Varkha's family saying, there was a bit of a delay. Itching to get out and begin his day, he decided grab his camera, step out of the hotel and click a few panoramas of the vistas in front of him. Just as he strode out of the hotel and must've taken a few steps, he heard a strange rumble followed by a shake. He lost his bearings for a couple of seconds and upon looking back saw that the hotel where his luggage was still stowed away had tilted at an angle of sixty degrees. This was not just an earthquake or another harmless tremor that would have people running down and into the streets only to realize, it was a joke played by nature, and a joke in bad taste. It was a quake of mega proportions. What followed that day and for weeks to come made news world wide as one of the worst natural calamities to hit Nepal. Several tremours, inccessent rains and stormy weather was not going to make things easy for the people of Nepal. This disaster took lives, not in the hundreds but thousands, the damange to property and people was irreversible and the country was shaken down to its very foundations - literally. In the meantime, what was happening to Varkha and Gaurav? They were to be married in the next few days. Festivities had been planned, guests had flown in, the celebrations had nearly begun. The fate of this young couple was in nature's hands. Amidst death, tragedy, pain and loss, was it even a good idea to get married? There was no wedding venue, no arrangements and not much of a will to celebrate either. However, life always has a plan and it usually is a reaffirmation of the fact, that what has to be, has to be, against all odds. The will to move forward, survive and find meaning when everything else seems hopeless is what is the differentiator. "If there is going to be a wedding, we are going to shoot it," said Mithilesh to Varkha's father. And so, there was a wedding! Not with the same pomp and show, but with a lot more love and a bigger celebration. 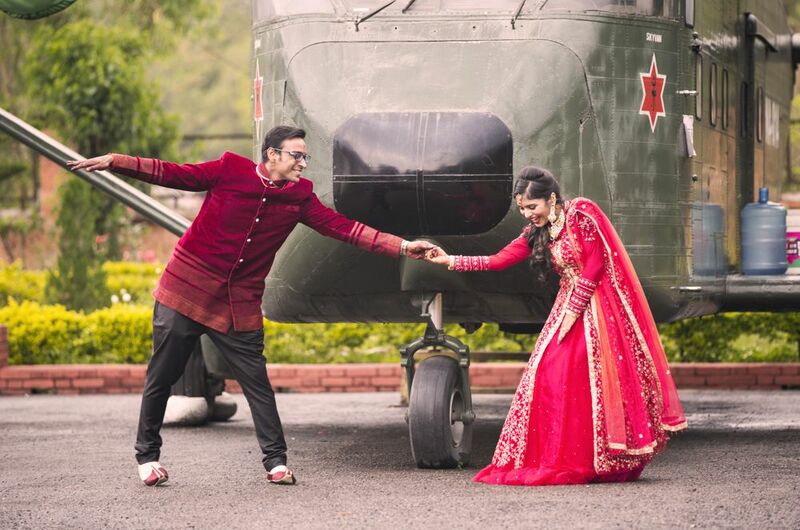 It did not happen at a grand wedding venue, but in Varkha's backyard. And there was a reception too, not at the ballroom of a fancy five star property, but at the Nepal Millitary Museum. People colloborated, came together, decided on alternatives and made things happen for this bride and groom. When love and togetherness is in the cards, even an earth shattering earthquake becomes but a small obstacle. "I was looking for some beauty or say some hope in the sadness all around. Fortunately a small makeshift tea stall was open at the hill top beside the monastery and was serving tea minus milk. Milk was impossible to get you see, a side-effect of disaster and all. After having a warm cup of tea I went ahead to explore the monastery. I could see people going to their houses and bringing out utensils and food items to cook breakfast. Staying in house for longer could have been dangerous as tremors were still happening very frequently. The disaster had taken away the feeling of safety their homes provided just yesterday." - Mithilesh Choubey. Due to the earthquake, the wedding venue for Varkha and Gaurav's wedding was fully destroyed. The wedding ceremony finally happened in the backyard of their home in Nepal. Though tensions were high and emotions ran wild due to the current disaster that had recently befallen them, this couple gathered up all the courage they could and went ahead with a simple wedding held Varkha's backyard. The reception venue was the Nepal Millitary Museum, which was also a shelter for the earthquake victims later. 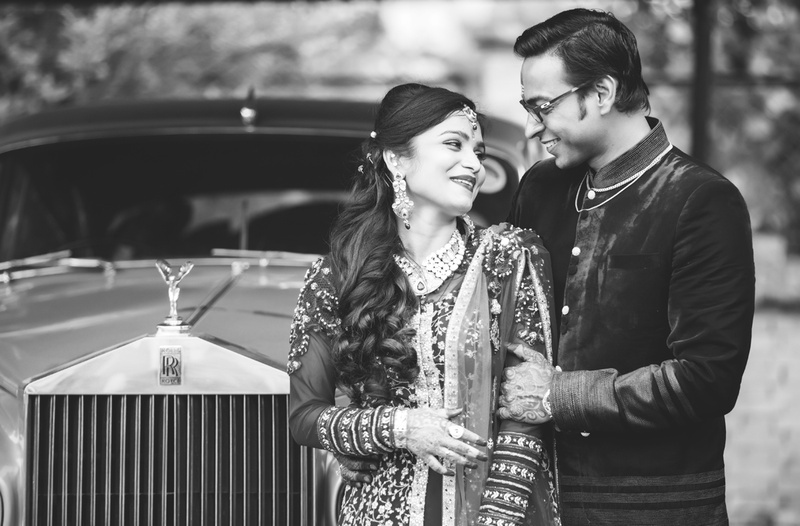 The couple’s constant mantra was “Celebrate Life” – they chose to look beyond the present and bring life to their town with wedding celebrations. While music decibels were kept low to be sensitive to the town’s people – the celebrations brought in the much needed hope and positively. 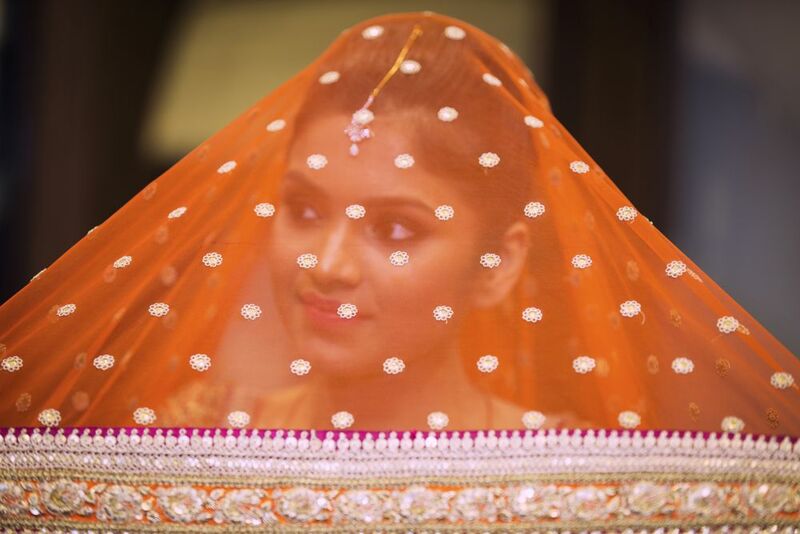 As gorgeous as Varkha looked on her wedding day, her bridal ensemble, her mehndi, and other details of the wedding become less important. What takes center stage is the love on their faces, the hope in their eyes and the courage to look disaster straight in the face and say, "no matter what, we are going to be together, for ever."